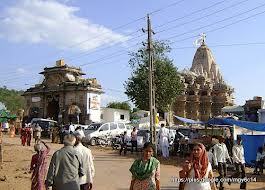 Shamlaji Fair will Celebrated on 24 November 2012 and Gujarati Month of Kartik purnima. 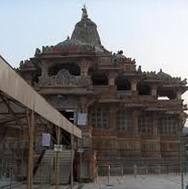 Shamlaji is a place in Gujrat 80kms from Ahmedabad renowned for the 11th century temple- Shamlaji Temple, a Vaishnav Shrine. Fairs and festivals that develop round the temple show the b ethnic background of Shamlaji. Shamlaji Fair is one of the main fairs in Gujrat, India. It is also called Kartik Purnima Fair as it is celebrated on Purnima (full moon) in the month of Kartik. Like other fairs and festivals of Gujrat in India, Shamlaji Fair is also colorful and vibrant and is a unique example of India's cultural heritage. 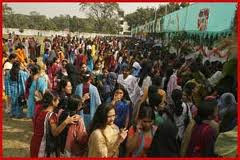 Shamlaji Fair is a grand extravaganza in Gujrat as all the tribes take part in it. The Shamlaji Temple is a very famous and worshipped temple which stands on the banks of the river Meshwo, in veneration of Lord Vishnu. A number of devotees gather during the month of November to be a part of this great cultural spectacle called Shamlaji fair that lasts for about three weeks. Devotees are seen coming on foot, on camel and other means singing and dancing to participate in this fair. Many people are seen carrying flags, banners with their sacred symbols on them. 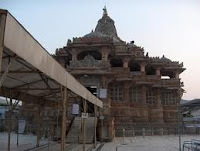 During the Fair one of the main attractions of the devotees lies in taking sacred bathe in the river Meshwo, on the banks of which Shamlaji Temple is situated. They also offer prayers to the deity. 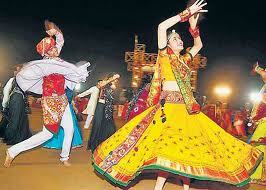 Around 2 lakh tourists attend the fair, especially from Gujarat and Rajasthan. The Fair is extremely significant for the Bhils community among the Adiwasis, as they are faithfully dedicated to Lord Shamlaji who they lovingly refer to as Kaliyo Dev (Dark Divinity). The Shamlaji Fair also becomes an extremely important destination for the trading community as people engage in buying silver ornaments, metal ware, cloth and garments, along with many other annual household items. Another legend has it, that an Adivasi found the idol of Lord Shamlaji while ploughing his land. He worshipped it by lighting a lamp everyday and was blessed for his faith by having an abundant yield in his farm. Hearing about this, a Vaishnava merchant built the temple and installed the idol therein, which was later beautified by the Idar rulers. Recently, a prominent business family has further renovated this temple. 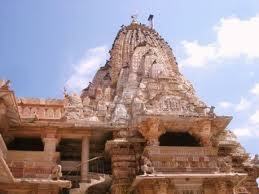 The temple of Shamlaji is situated on the banks of river Meshwo and is dedicated to Lord Vishnu. 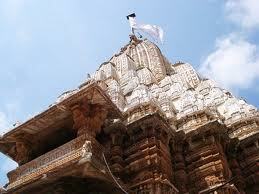 Sakshi Gopal or Gadadhar is a black representation of Lord Vishnu, worshipped in this shrine. The river Meshwo is seen splashing water and waving through the valley just below the temple. During the fair and otherwise the waters of the river Meshwo is considered very holy as numbers of devotees take a dip whenever they come here. 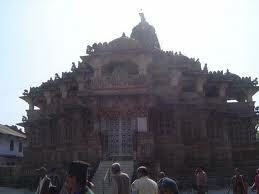 The shrine of Shamlaji is believed to be about 500 yrs old and is beautifully crafted. The complete temple is a two stories building that has episodes and teachings of Mahabharata engraved on the outer walls.